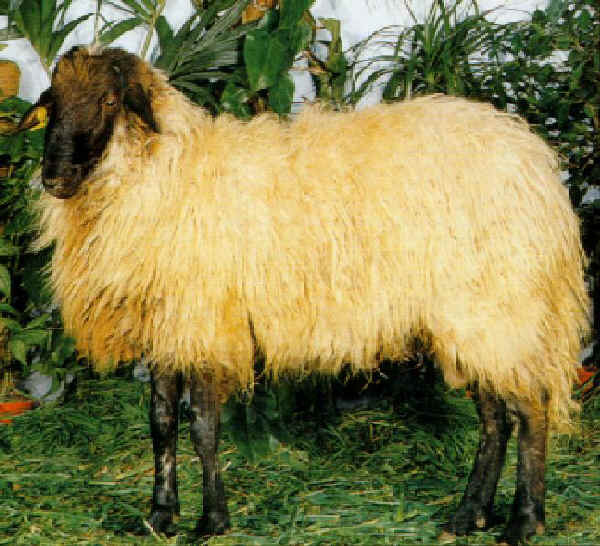 Leccese, or Moscia Leccese, sheep are most likely are related from Zackel sheep from Asia. The have a not-so-curled woolly hanging coat. They have rosy skin and a white coat, with black spots on their breastbone. A black short-haired muzzle, and a plain black or spotted limbs. In the past they were raised for wool, meat, and milk but today they are mainly bred for milk production.